Super high traffic Mission Valley/ San Diego Asian restaurant and Bobo tea bar combination location. Outstanding opportunity to get into a turnkey Mission Valley location. Located in very busy center with huge car traffic counts. Restaurant was established in 1985! Talk about staying power, this is a great location. Seller states sales of over 500k for 2015 and average monthly sales in 2016 of nearly 50k. Sales have been trending up for the past 12 months as this area continues to grow with the resurgence of the surrounding condos, apartments, business and commercial districts. Restaurant currently is drawing in two separate crowds as the owners have developed a dual concept but are still only making a single rent payment. Currently selling Chinese/Thai food along with the Bobo tea bar. Sellers looking to relocate so they are willing to let this place go cheap. Well appointed and designed kitchen has extra-large 12 ft. hood system and all the equipment you would need to serve up the current and very well-received Asian food concept as well as variety of different concepts. 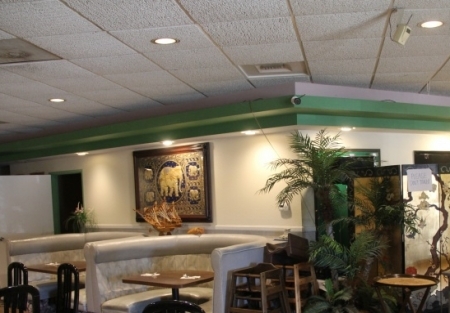 Keep current concepts or convert to your own concepts in this turnkey restaurant location. Mediterranean, Indian, frozen yogurt,the combinations are endless is one of them yours? There are two separate entrances to this great space allowing for operation of the two different concepts currently in place. Restaurant space is approximately 3396 sq. ft. Rent is $6600 per month and includes CAM, Water and trash. Current term expires May of 2021 with a five year option available. Seller has done lots of renovation and improvements to the space at big expense to him. Let their improvements and investments in the space be your gain. Come by today to see this dual concept restaurant in person.